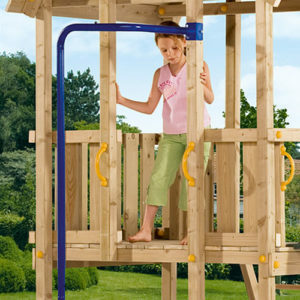 Climb the tower by pulling yourself up the steep slope. 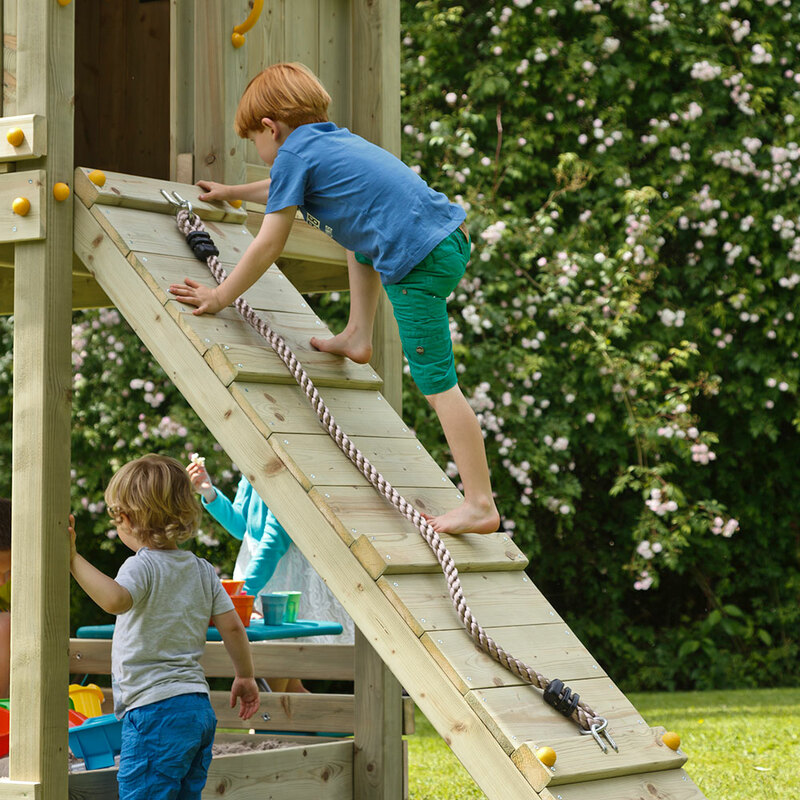 The thick rope gives excellent grip for small kids’ hands. 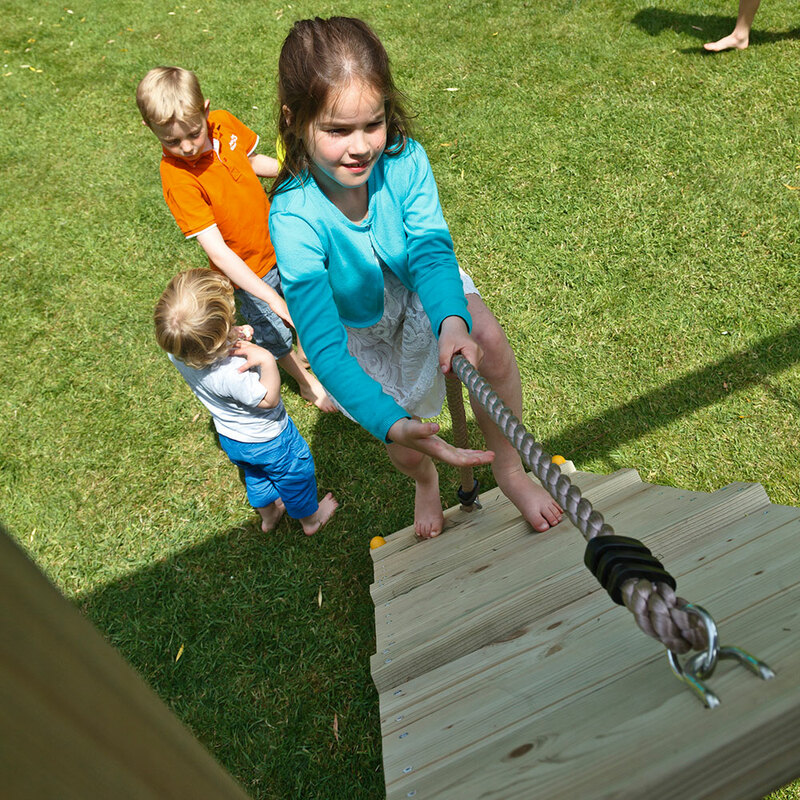 Extra footholds on the wooden ramp facilitate climbing. 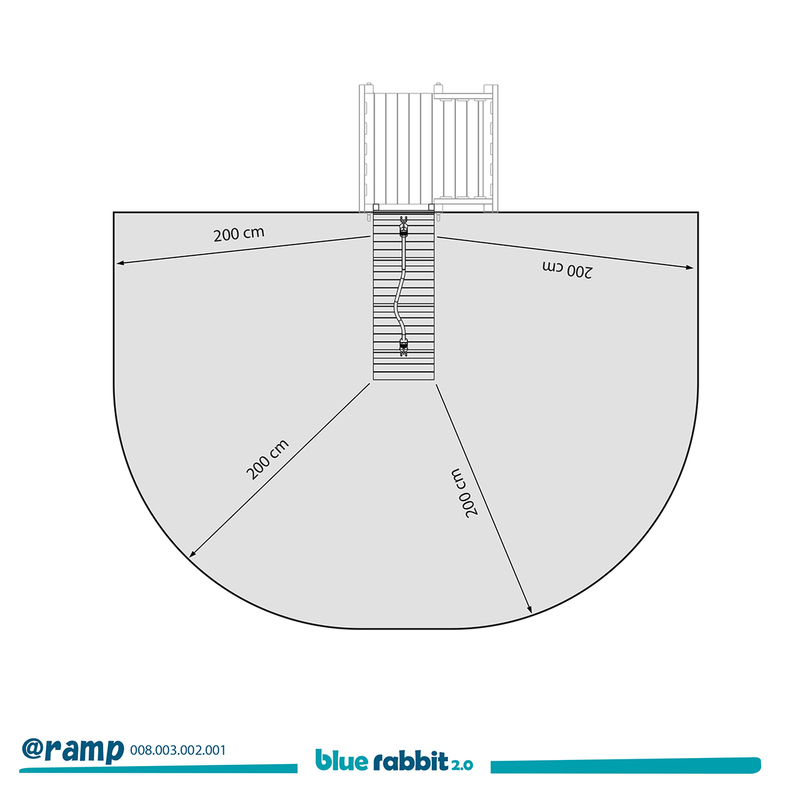 You can add the @ramp module to every Blue Rabbit 2.0 play tower to create an alternative and challenging entry. 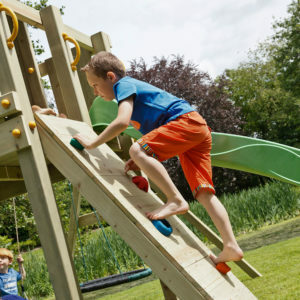 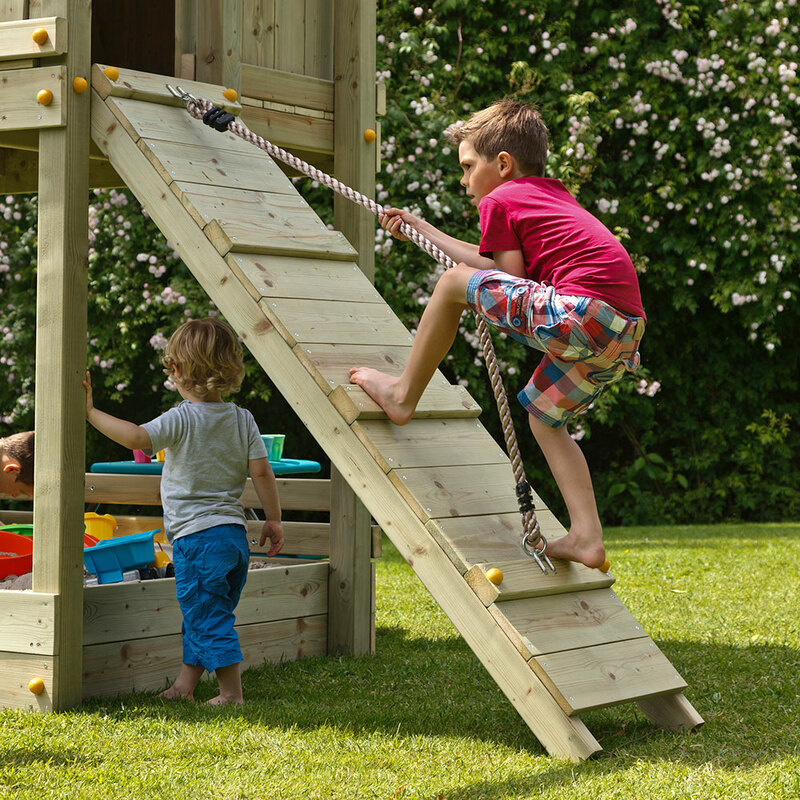 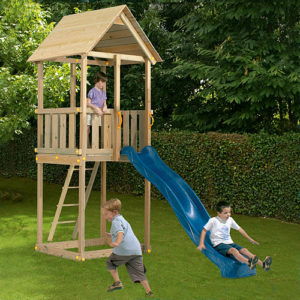 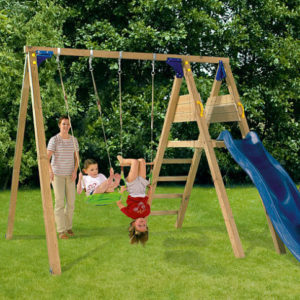 The same @ramp building box allows you to build the correct design variation according to the platform height of the play tower (1.2m or 1.5m).